So, you’ve finally found your way to the real March sports news. That’s right, forget about that impostor dominating sports pages and ESPN 24/7. Forget teams with names such as Huskies, Devils and Tigers. The real spring battle is among the gaspergou and sac-a-lait, pole d’eau and cockahoes. This isn’t about crossover dribbles and alley-oops, it’s about casting and shooting, specks and reds, dos gris and choupique, dredging and rebuilding. Yes, it’s time once again for Marsh Madness, the Big Dance on the Bayou, that mostly-every-year contest offered by The Times-Picayune to separate the real marsh people from the fantasy league posers. We offer 50 questions that test your marsh wisdom, a stirring challenge more intense than any Final Four. Score better than 85 percent (43 out of 50) and you can add "eaux" to your last name. Score between 84 and 75 percent (42 to 38 correct), and you can keep your white boots. Warning: Anyone caught cheating will be forced to live in the contra lane the entire hurricane season. D. 10.3 square miles per year. D. It’s already too late. 5. Repairing Louisiana’s coast is strictly a state and local problem. C. Coastal Protection and Restoration Authority of Louisiana. D: Temperature during egg development. 9. Which part of the U.S. faces the greater threat from global warming? 12. Louisiana has a clear, concrete plan on how to restore the coast. 13. 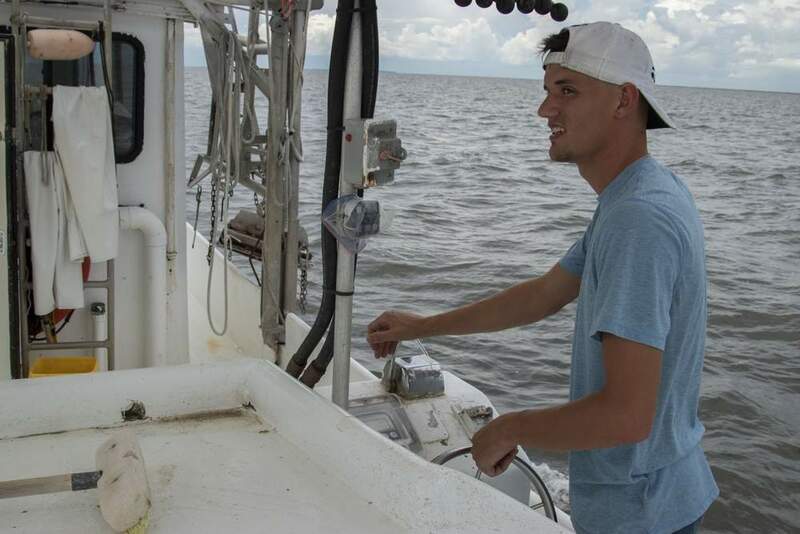 How many species of fish can be found in Louisiana’s coastal zone? 14. More oil comes into the United States across Louisiana’s coastal wetlands than through the Alaska Pipeline. 15. What percent of Louisiana anglers harvested a limit of specks? 17. Global warming is not a serious problem only for communities north of I-10. 18. Louisiana’s surviving coastal wetlands are twice as large as Florida’s Everglades. A. The nation erected the levees and dredged many of the shipping channels that caused the deltas to die. B. The energy development that helped destroy our coast benefited the entire nation. C. Damages to industry that would result from doing nothing would be a severe blow to the economies of dozens of states that depend on our ports. D. The state cannot afford the cost alone. 22. How many speckled trout does the average Louisiana angler harvest per trip? 24. At least 377 bird species are commonly found in Louisiana. 26. Scientists think we can rebuild all or most of the coastal wetlands lost since the 1930s. 32. Nothing is currently being done to restore the coast. 34. 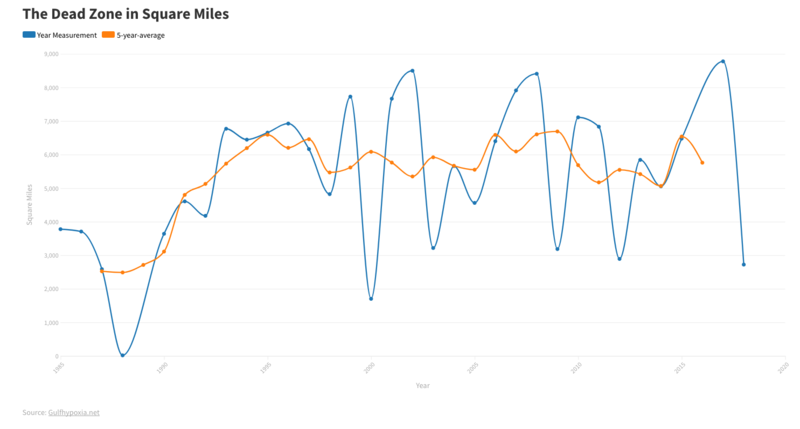 How many miles of canals have been dredged across Louisiana’s coastal wetlands since the 1930s? 35. Which species belong to these nicknames? 37. What percent of anglers caught a limit of reds in 2005? 43. Of the 2 million eggs a female blue claw crab typically produces, how many usually survive? 46. Lake Pontchartrain is not a lake. 47. How many redfish did Louisiana anglers harvest in 2007? 50. What is the largest mammal found in Louisiana estuaries? 1. C. According to federal figures, 40 percent of the wetlands left in the continental United States — about 7,000 square miles — are in Louisiana, far more than any other state. 2: B. State and federal studies show that since 1932, more than more than 2,000 square miles — over 1.9 million acres – were lost, fully one-third of what existed in 1900, an area the size of the state of Delaware. 3: D and B. Trick question No. 1. The rate has dropped dramatically since the 1970s because there is less to lose and there is less oil and gas exploration today. However, that football field every 45 minutes remains a death sentence for much of southeast Louisiana. 4. 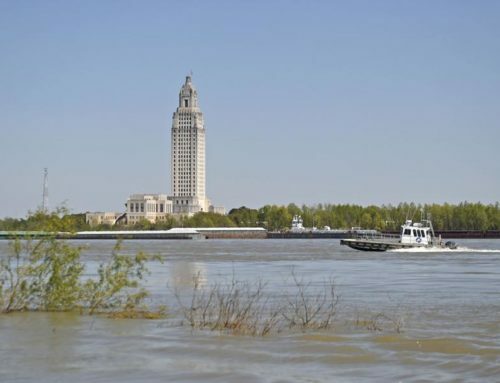 C. Two years ago coastal scientists said if the state was not actively building land in the basins around New Orleans within 10 years, the area of open water may be so large and deep it would be too expensive to fix. 5. False. The state’s coastal wetlands nourish and protect huge industries that serve all Americans. Twenty-seven percent of America’s oil and 30 percent of its gas travels through the states coast, serving half of the nations refinery capacity, an infrastructure that few other states would welcome and that would take years to relocate. Ports on the river from Venice to LaPlace handle 56 percent of the nation’s grain shipments. And the estuaries now rapidly turning to open water produce half of the nations wild shrimp crop and about half its oysters and a third of its blue claw crabs. Studies show destruction of the wetlands protecting the infrastructure serving those industries would put $103 billion in assets at risk. 6. A-3; B-4; C-7; D-6; E-1; F-2; G-5. 7. C. The web site is http://www.lacpra.org/. 9. A. 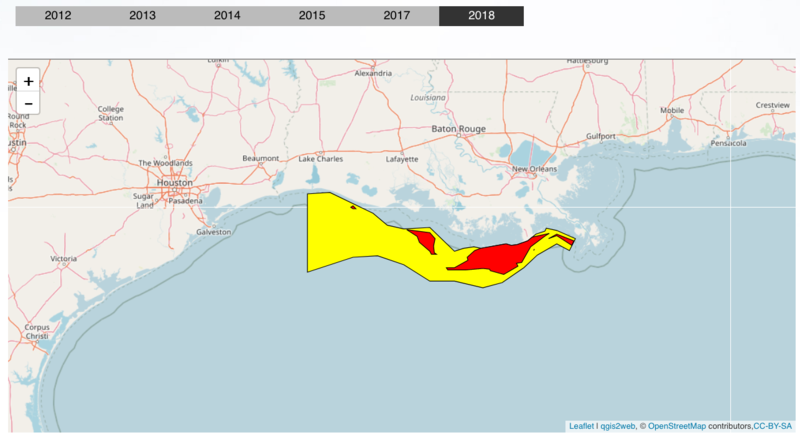 While the International Panel on Climate Change predicts most of the U.S. coastline will see an 18-inch rise in sea level due to global warming by the end of the century, the estimate for areas surrounding New Orleans is two to six feet. The difference is subsidence – the dying river deltas that make up southeast Louisiana will continue sinking at one of the fastest rates in the world as sea level rise accelerates due to warming water and the melting of glaciers and sheet ice. (See the TP animation and graphics at http://blog.nola.com/graphics/2008/12/SinkingLand.swf. 10. B. Levee construction set the process in motion by preventing river-borne sediment from replenishing the deltas, but LSU scientists say if that is all we had done the coast would have been in good shape for another 1,000 years. Canal dredging compressed that time frame into 70 years, they said. 11. 5: A, B, C, D. Trick question No. 2. Taste buds cover every part of a catfish’s exterior. And, yes, they do taste good when fried. 12. False. The state’s Master Plan adopted three years ago is just a broad outline of goals. The state government has not decided what it wants the coast to look like in the future, or the size and location of projects needed to get that done. 13. B. Trick question No. 3. 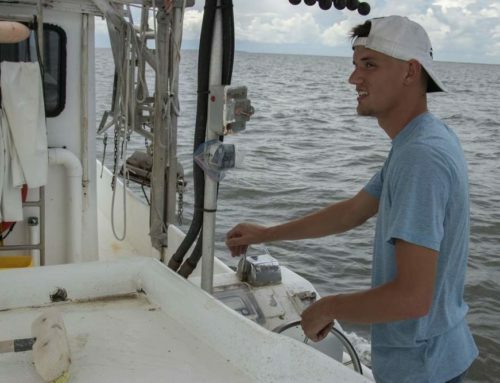 If, as ecologists claim, the definition of "coastal zone" can extend to offshore waters, LSU ichthyologists say it’s likely that almost all of the species known to occur in the Gulf of Mexico — between 585 to 600 — will at some time be found in this state’s "coastal zone." 15. D. All fishery statistics in Marsh Madness are from 2007, the last year for which complete fishery data is currently available. 16. D. This is sort of a trick question. 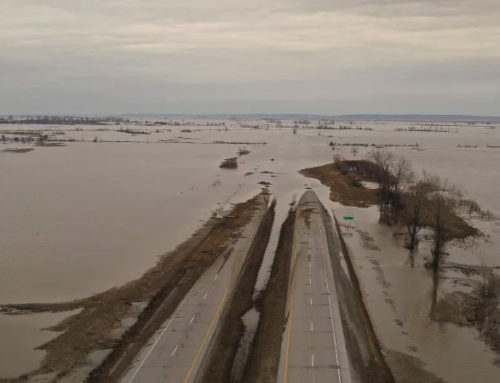 While marshes have rightly been described as "linear levees," wooded wetlands provide more surge protection because they can knock down both waves and wind. 17. False. 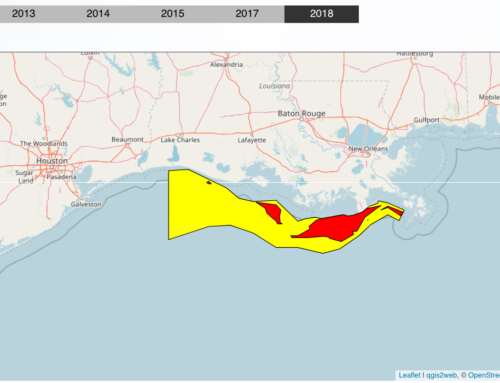 The mid-range estimate for relative sea level rise (the combination of subsidence and sea level rise) in southeast Louisiana is 3.3 feet. Such a rise would inundate almost every acre currently outside hurricane protection levees. North shore cities that were not flooded would then be Gulf-front property subject to the types of huge storm surges that have flattened the Mississippi Gulf coast. 19. C. State research shows small fish make up 60 percent of the specks’ diet, with menhaden ("pogies") the most common species in the mix. Brown shrimp make up about seven percent of the diet. 24. Probably. This is trick Question No. 4. I include this one each year because birders are such a contentious lot. The number of species that appear in George Lowery’s "Louisiana Birds" considered the authority on state ornithology is 377 – but many of those are just passing through. But some birders claim any bird that appears "regularly" in the state would make Louisiana’s life list. 25. E. All but musk oxen were abundant when the first Europeans arrived in the 17th century. 26. False. 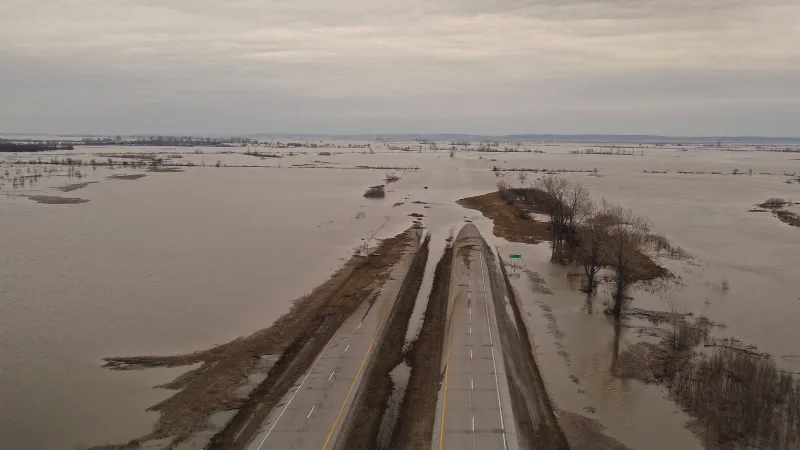 Even if we had the time and money, the river no longer caries enough sediment to rebuild the 2,000 square miles of coastal wetlands we have lost. Scientists say the 40,000 dams and locks on the river system have reduced the amount of sediment that flowed past New Orleans 100 years ago by about 50 percent. 27. B. Alligator gars commonly reach 150 pounds. Tarpon can top 200 pounds, but they are not year-round residents, only seasonal visitors. And dolphins are not fish. 28. B. AKA – sac-a-lait. 30. B. Bluewings show up around mid-August, followed shortly by spoonbills and pintails. Mid-October usually bring the first flights of gadwall, widgeon and green-winged teal. 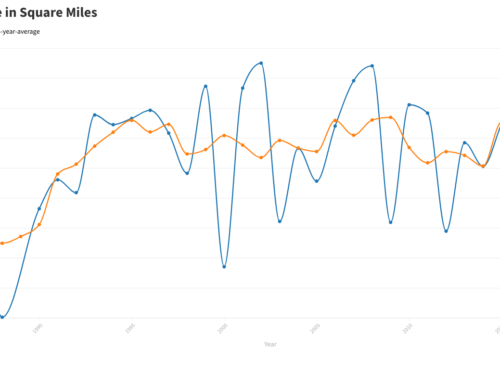 Mallards and divers show up last, their arrivals largely dependent on what the weather is doing to the north. 31. B. Bluewings that winter in Mexico don’t arrive in our marshes until March, where they stage into huge flights before moving northward. Every year some bluewings decide to nest on our coast and never go back north. 32. False. There currently are dozens of projects under way or in the planning stages. Furthermore, the state and feds have spent more than $1 billion over the last 20 years in the effort. However, while these all help, none is capable of building land fast enough to reverse the current rate of loss. The big projects that scientists agree are necessary are still only in the discussion stage. 34. A. Most of that has been for oil and gas exploration and pipelines serving the nation’s thirst for energy, but equally damaging canals have been dredged for shipping. 35. A redfish; B and D speckled trout; C flounder; E largemouth bass. 38. Fifth trick question. A, B, C, D and all of them. Mink, otter and deer are natives, and coyotes migrated into the region during the last half of the 20th century. 39. False. We actually are gaining land at the mouth of the Atchafalaya River, where there are no levees to prevent over-bank flooding and sediment deposition. This is the process that needs to be reestablished along the Mississippi River. 40. C. A bluefin tuna caught by Ron Roland 30 miles south of South Pass on May 25, 2003, weighed 1,152 pounds. 42. C. 70 degrees seems to be the key temperature that spurs specks to move from their deep winter locations to spawning spots in the larger coastal bays. 43. B. The crab has adapted to a highly competitive environment by mass producing eggs. 44. False. Studies have shown that weather events and habitat conditions, including hunting pressure, can prompt some species to travel as far as Arkansas in a day. 45. A. Black drum commonly live to 70 years, and alligator gar seem to peak at 55. Of course, Serigne passed that mark more than a decade ago. 46. True. A lake is a body of water surrounded on all sides by land. Pontchartrain was formed about 5,000 years ago when the growing Mississippi delta created marshes on its eastern end. It generally is considered an embayment or a coastal estuary. 49. C. Specks spawn repeatedly when water conditions are right. The species is known as "batch" spawners, which means some portion of them are spawning at any time during the season. Like crabs, they have successfully adapted to a very competitive environment. 50. B. Although rarely sighted, manatees do migrate through portions of the Lake Pontchartrain basin almost every year and can weigh more than 1,000 pounds. Dolphins are easily the most common large mammals found in the local ecosystem, typically weighing between 300 and 500 pounds. Whale sharks and whales, which cruise in the deep Gulf, are not found in the coastal system. Joe Bourgeois may be the kingfish of Barataria, but he doesn’t measure up in this category.